Prep your home for the holidays! The holidays are a busy time, and no matter how you choose to celebrate, it remains a popular time of year to reconnect with colleagues, family, friends and neighbors. 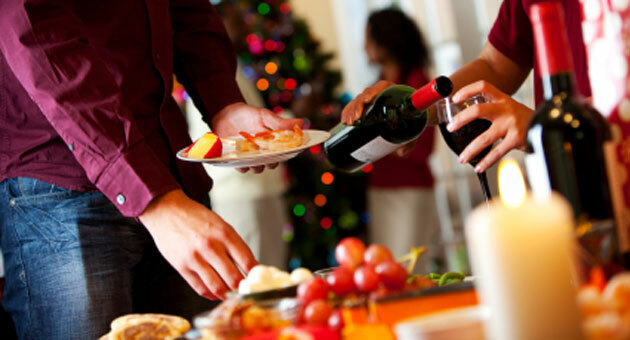 Here are some great tips for preparing your home for holiday house guests, to make their stay more enjoyable for everyone. Declutter – Holiday time is a good excuse to pack away, donate or toss unwanted or unused items. Focus on the living room, bathroom and kids’ rooms if they’ll be sharing with other children, and enjoy your new space. Run a load of laundry – Even if the guest bedding and towels are clean, run them through the washer and dryer within a few days of your guests’ arrival so they smell fresh. Schedule preventative maintenance – Having your heating equipment break down in the middle of hosting visitors will leave you all out in the cold; have your system cleaned, tuned and inspected to increase efficiency, comfort and reliability. Let there be light – Check the guest bedroom to make sure no bulbs are burned out and that there is a bedside lamp so company can read before bed. Change your air filter – Improve indoor air quality by keeping up with filter changes throughout heating season. Install a programmable thermostat – You’ll may all turn in at the same time, but your guests may awaken long before you do; adjust the thermostat to accommodate early risers, and set your automatic coffee-maker earlier as well. Be prepared – Keep extra supplies on hand of commonly forgotten items such as toothbrushes, toothpaste and disposable razors. Stay safe – Check the batteries in your smoke alarms and CO detectors, double-check your first aid kit, and make sure your kitchen fire extinguisher has a full charge. Seal leaks – Prevent drafts by sealing leaks around doors and windows, using weatherstripping or caulking as needed.